Festivities in Taiwan to celebrate Africa Day help strengthen international bonds. 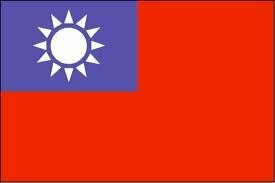 President Ma Ying-jeou and African envoys touted the ties between Taiwan and Africa on Saturday [25 May 2013] during celebrations of Africa Day, which is observed annually on May 25 to mark the independence of various African countries since 1963. "Taiwan is one country that has been paying a lot of attention to Africa's development," said Gambian Ambassador Alhagie Ebrima Jarjou, who is also the chairman of the African Diplomatic Corps accredited to the Republic of China. Jarjou said that over the years, Taiwan has developed solid relations with African countries through a wide range of developmental programs that focus on the fields of healthcare, agriculture, vocational training and higher education. He was speaking at a cocktail reception held at Taipei's Huashan 1914 Creative Park. Recognizing the friendship between Taiwan and Africa, Ma said Taiwan will continue to assist African countries in their development since Taiwan has been through the developing stage in the past and has much to offer to the world. Taiwan wants to be a "sincere and effective developmental partner of Africa," Ma said. At the same venue, a festival was held to celebrate Africa Day. The festival features African film, music and lifestyle, according to the Ministry of Foreign Affairs, which organized the event.